When BMW unveiled the 1-Series sedan in 2016, the company said the car was “tailored specifically to meet the needs of Chinese customers” and would be “offered exclusively for the Chinese automotive market.” BMW has apparently had a change of heart as the car is now available in Mexico. 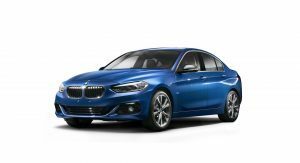 Priced from $489,900 MXN ($24,607 / €21,106), the 1-Series sedan is $45,000 MXN ($2,260 / €1,938) more affordable than the 3-Series. Unfortunately, its specifications aren’t too impressive as the entry-level 118iA has a 1.5-liter TwinPower Turbo three-cylinder engine that produces 136 hp (101 kW / 138 PS) and 162 lb-ft (220 Nm) of torque. The engine is connected to a six-speed automatic transmission which sends power to the front wheel. This setup enables the car to accelerate from 0-62 mph (0-100 km/h) in 9.4 seconds before hitting a top speed of 131 mph (212 km/h). 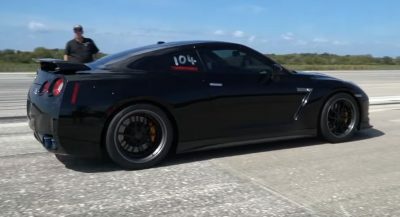 While the car isn’t fast, it does come reasonably well equipped as drivers will find a leather-wrapped sport steering wheel, Sensatec upholstery and a dual-zone automatic climate control system. The car also has LED daytime running lights, rain sensing wipers and 17-inch alloy wheels. 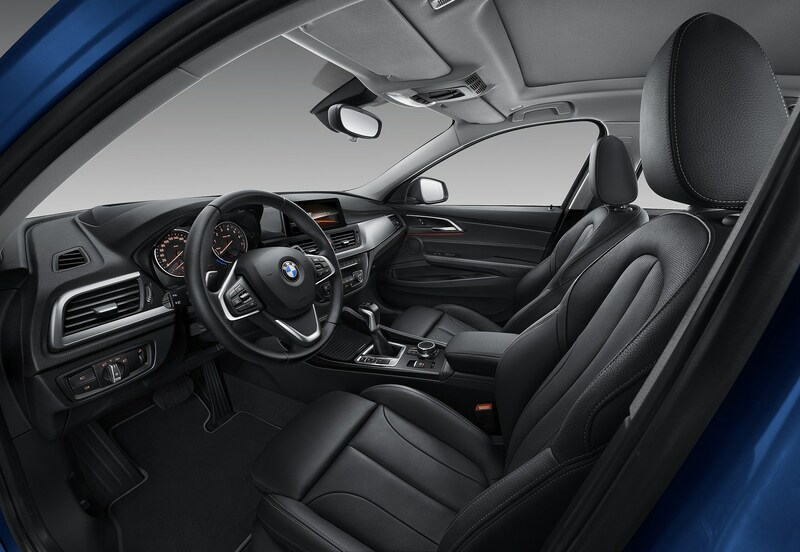 Other highlights include front sport seats and an infotainment system with a 6.5-inch display. Moving up to the $569,900 MXN ($28,655 / €24,553) 120iA sedan rewards buyers with a turbocharged 2.0-liter four-cylinder engine developing 192 hp (143 kW / 195 PS) and 206 lb-ft (280 Nm) of torque. 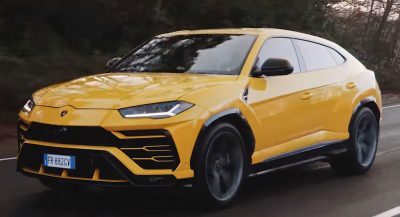 Thanks to the additional power and a more advanced eight-speed automatic transmission, the car runs from 0-62 mph (0-100 km/h) in 7.5 seconds and has a limited top speed of 146 mph (235 km/h). 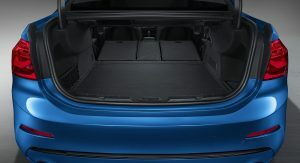 Besides the larger engine, the 120iA features additional equipment including a panoramic glass roof, a split-folding rear seat and LED headlights. 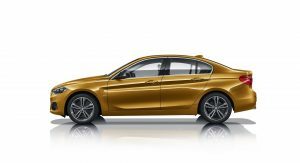 There’s no word on whether or not the 1-Series Sedan will be offered in additional markets but it seems possible if the model proves successful in Mexico. That remains to be seen but BMW says the car has the best driving comfort in its segment as well as a distinctive combination of style and elegance. With the new A_Class sedan coming to the U.S. it is just a matter of time before they sell this here in the U.S. It will need a better base engine though. I can’t imagine BMW offering a 1.5-litre, 3-cylinder engine in the United States unless it was in a hybrid version, so the 2.0-litre 4 with 192 horses would probably serve as the base engine if they decided it to sell it stateside. While that would have seemed obvious 10 years ago, I think these days BMW has put all of that development into the X1 and X2–which are basically sub-compact hatchbacks that look like crossovers–so they’ll sell better. That’s the nicest Kia I’ve ever seen. Yeah… but I’ve seen much nicer KIAs. Will they do a m140i Gran Coupe Xdrive? Why the need for a separate car with FWD? Why wouldn’t a 1-Series be a 2-Series with 4-doors? I hadn’t heard that. I guess AWD for the M2, eh? Right, I read that somewhere. 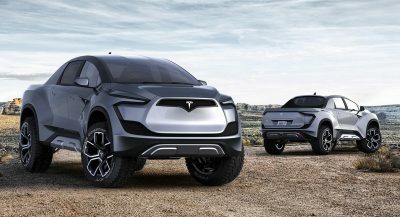 BMW would be wise to bring this car to the U.S with a more powerful engine..
And render Mini irrelevant.Which is the fear. Their also not sure how folks will respond to a FWD car wearing a BMW badge. I really don’t see how this would affect Mini,two different products and markets. I wouldn’t worry too much about it being FWD as long as it is engaging,fun to drive and has adequate power to boot. The 2.0 turbo four would be an excellent base engine. No smaller. I wonder if this car can be imported into the U.S. from Mexico? I know cars bought in Canada can pretty readily be imported into the U.S. as long as some duty tax is paid. Probably not. Canadian cars are typically US/NA spec anyway, so they meet most DOT and EPA regulations/are certified for the US market. This is most likely not an NA spec vehicle. Pretty much the same case as trying to import a new Peugeot from Mexico into the US. Won’t work. WAY too slow for any proper BMW. This is supposed to be a premium luxury brand after all. Also, rather ungainly. Not a beautiful car by any means.